Designed to provide years of protection against the harsh effects, in any climate, of the sun. UV rays have a permanent effect on the paint and finish of your vehicle. Outdoor Custom-Fit Car Covers feature a Sunbrella enhanced acrylic fiber material that helps prevent this damage. With long-lasting strength and water resistance, these car covers defy color fading and resist rot due to extended exposure to the elements. 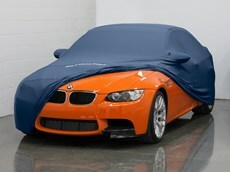 WeatherTech now offers a wide variety of Custom Fit Car Covers to choose from. With over 17,000 vehicle variations and an assortment of car cover options to choose from, you will be sure to find a car cover that’s an ideal fit and guaranteed to protect your vehicle from the elements. Custom-fit to hug the natural contours and shape, the cover prevents sediment, water, and other outdoor materials from resting on the vehicle. 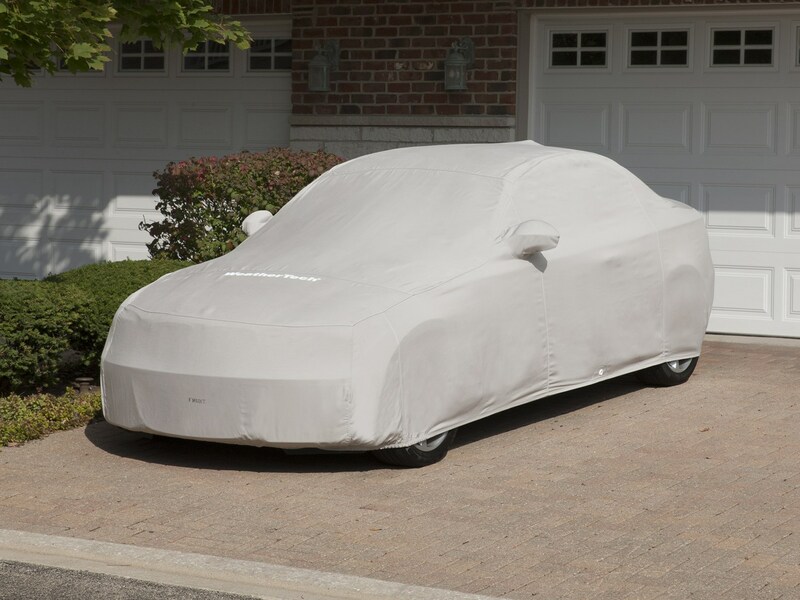 Purchasing a WeatherTech Outdoor Custom-Fit Car Cover will ensure quality vehicle protection and a superior long-lasting product. Shipping Note: Please allow 3-4 weeks for delivery as all covers are custom sewn and made to order. Orders placed after December 4th, when Standard Ground Shipping is selected will not be guaranteed for Christmas delivery. Also, orders placed after December 12th, when 2 Business Days Shipping is selected will not be guaranteed for Christmas delivery. Each Car Cover is custom cut and sewn to your vehicle's make, model and year, therefore we cannot accept returns for Car Covers once an order has been placed. Can I lock the cover to my vehicle? Yes. Heavy duty grommet holes fastened along the edges of the cover allow for it to be locked in place. For an additional charge, we offer an 8' vinyl-coated steel cable with a brass padlock. How can I safely clean the fabric of my car cover? Place the cover in the largest washing machine available without an agitator. Extra-large covers (for vehicles such as SUV’s and pickup trucks), should always be washed in large commercial, front-loading washing machines without agitators. Dilute ¼ cup Simple Green cleaner in 1 cup of water and add mixture to the washing machine. Make sure to wash using WARM water if available, on a GENTLE cycle. NEVER use fabric softener. Rinse the cover TWICE (2x) using only water to remove all excess cleaner from the cover. Dry using medium heat in a large dryer. Simple Green is All-Purpose Cleaner available at most automotive and home improvement stores, and many major retailers. How long does it take to get my car cover? WeatherTech car covers are custom built to fit your vehicle so please allow 3-4 weeks for manufacture and delivery. What’s the difference between the indoor vs outdoor fabric? The Indoor cover (Form-Fit) is a Polyester knit, Spandex® constructed fabric with a soft sheared cotton fleece interior that protects the vehicle’s paint and finish. The outdoor cover (Sunbrella) is woven with high performance, long lasting, water and UV ray resistant acrylic fibers, making it ideal for outdoor use. Are car covers custom made or universal? They are custom made and built to order.